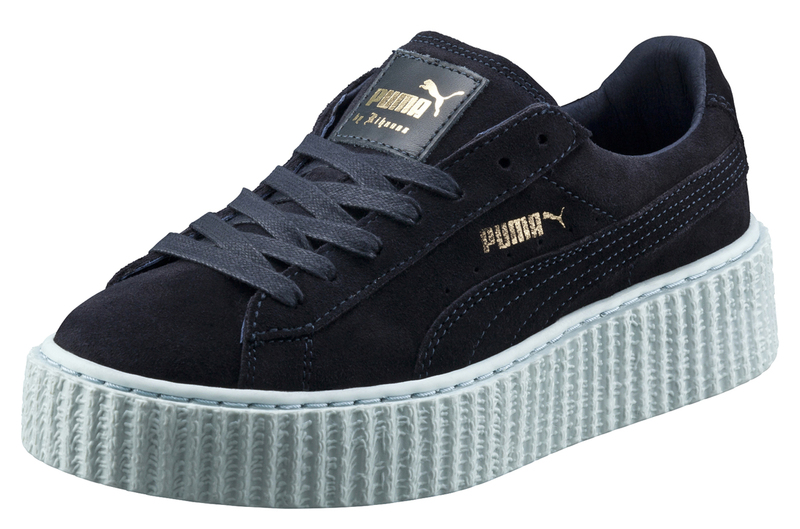 Three new colorways of the Rihanna x Puma Suede Creepers are releasing tomorrow, Nov. 20. The sneakers will arrive alongside a restock of the original black/white and black/oatmeal colorways, which have been sold out for a while now, in larger sizes that should allow men to take part. Peacoat/cool blue, off white/gum and coral cloud pink/green/oatmeal editions will be available at tomorrow's release. Puma's SoHo store in NYC will open at midnight to help people get their hands on these ASAP. 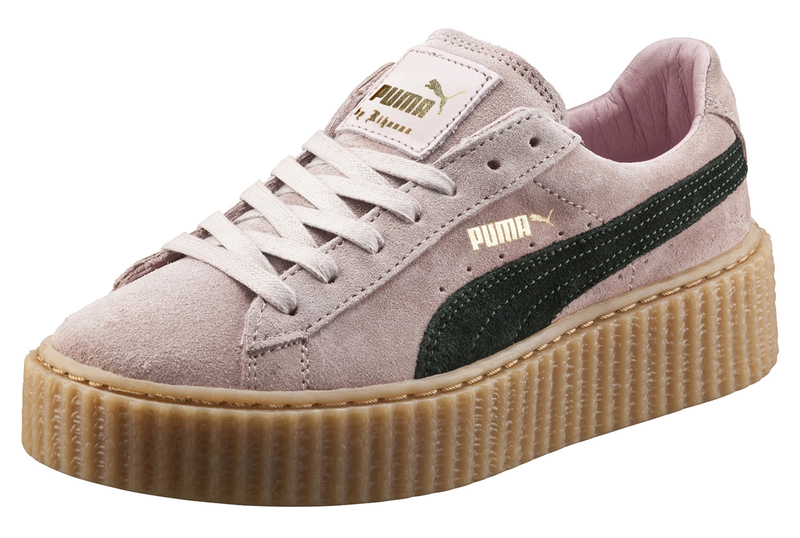 The sneakers will also be released via Puma.com at midnight.